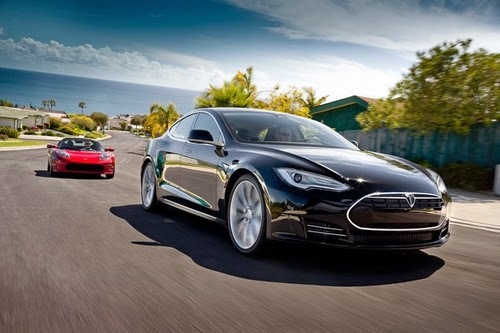 Today Tesla Motors held a press conference to announce a reshuffling of Model S features. This includes a new top-end battery pack, new fastest 0-60 time (ludicrous mode), a new low end price, and the promise of even faster top speed when the Roadster 3.0 arrives in about 4 years. Battery pack: There will be a 90 kiloWatt-hour battery pack option available. Currently the biggest pack is 85 kWh. The Model S 90D (non-performance dual drive) will have an EPA range up to 270 miles, or a bit more than the 85 kWh Model S.
The new pack can be retrofitted into existing Model S’s. However, it’s not recommended unless your current driving needs runs to the edge of the range. They expect future Model S battery pack upgrades, and recommend getting an upgraded pack when there’s a larger margin of improvement. 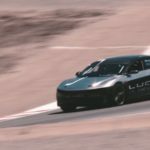 Ludicrous Mode: With the D model’s we learned about Insane Mode – the new dual drive system gave the P85D an insane amount of acceleration. 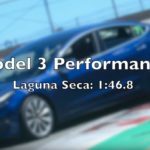 Now we have Ludicrous Mode with a 0-60 miles/hr time of 2.8 seconds, a quarter mile time of 10.9 seconds, and the time to reach 155 miles/hr is reduced by 20%. 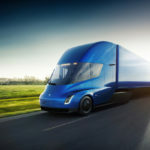 While these kinds of speeds aren’t useful for regular folk, more of those speed demon car fanatics will drool even more over the Model S, and perhaps a few more of them will be swayed to join the electric bandwagon as a result. This mode is the result of an improved contactor design. With the new contactor they can safely increase the max power from 1300 amps to 1500 amps. Either number is an incredible amount of power. The new electronics can be retrofitted into existing P85D models, at a fee. Unpacking that – the Roadster 3.0 will be built in four years, and will have even higher performance. Later in the call he said that Roadster won’t be based on a Lotus chassis, but will be Tesla’s own design. Model S 70: Coming in below the 70D will be a non-dual-drive 70 kWh model, at a $70k MSRP. That’s $5,000 off the current low end price. Model X: First deliveries in two months. Model 3: First deliveries in about two years. Tesla Model S, Tesla Motors. Bookmark. Is sharing oil train videos on youtube really an environmental extremism action?